A platinum 1ct Diamond ring. G SI1 VG make . 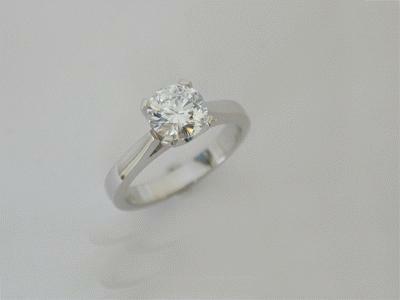 This ring is available in a range of diamond sizes. 1ct G SI1 VG make $14500.00 .87ct SI1 VG make $10500.00 Feel free to enquire about a specific size and grade of diamond. Available Duty free.